So this has been a very productive dive period for us. Discovering new spots as well as returning to some of our favorites. Sumba has surpassed any diving expectation that I had and we are only scratching the tip of the iceberg so to speak. I am just going to briefly inform on the nearest offshore dive spot “Pertama”. Located 3km from the resort and only 1.5km out past the barrier reef Pertama is our first go to spot. Once in the boat it takes about 10min to arrive on site. 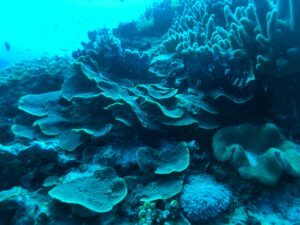 The reef comes up for around 30m on the west side and from 60m on the east side to a large plateau that is on average 15m deep. The plateau is around 200m x 300m, so plenty of reef to explore. 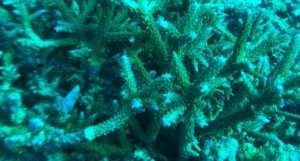 We have isolated the best spots on the reef but have not explored the entire area. The layout is relatively flat with large built up sections of reef teaming with Scad, Butterfly, Angel, Damsels and Wrasse. 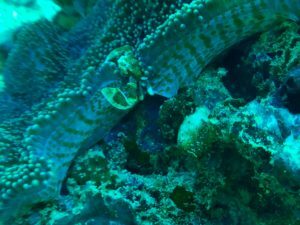 Turtles are common and so are the larger Spanish mackerel, Trevally and a aray of various snapper. Soft and hard corral litter the area. Some relics of finger corral that died off in the past some time and now appear to be regrowing. 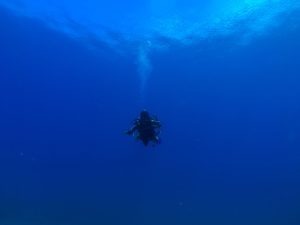 Generally this is a easy but exciting dive for all levels. 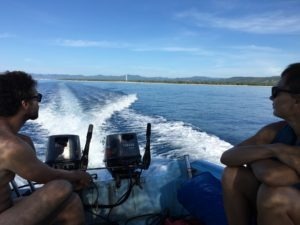 We offer this dive to you including boat transfer for Rp750k one person or Rp500k per person in a group max 4 divers.